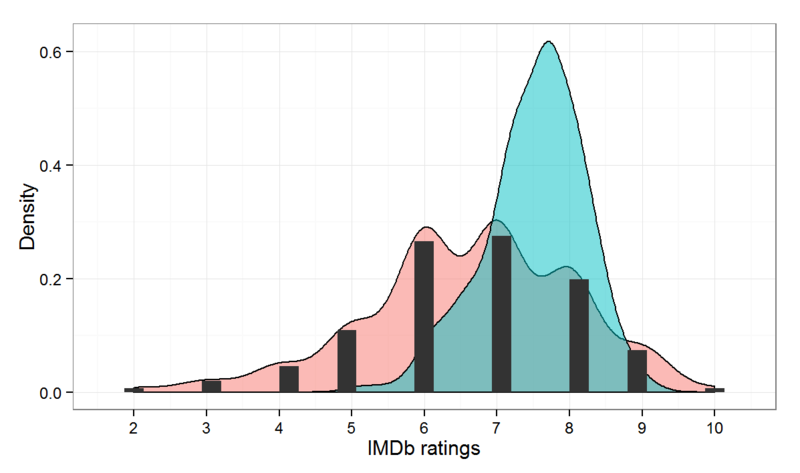 Hi: Your post about the movie ratings is interesting but there are well known methods for predicting movie ratings. 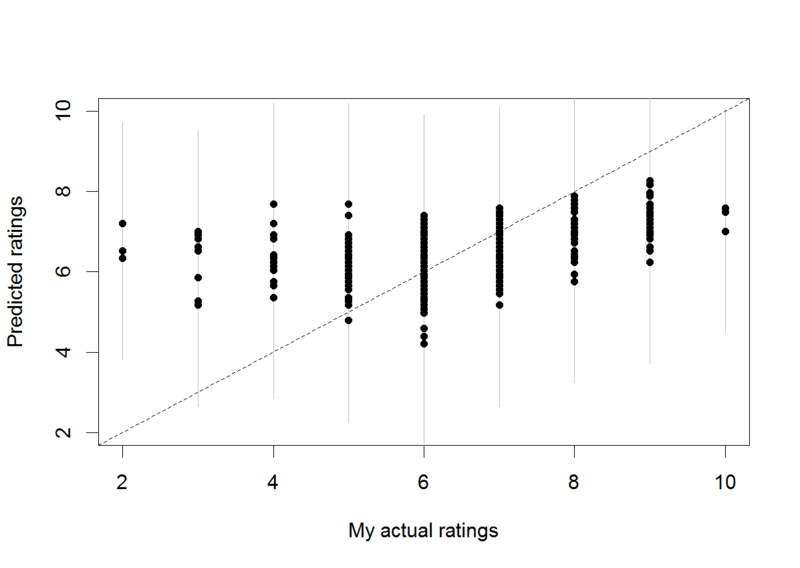 ( you include other people’s ratings rather than just yours ). The netflix competition spurred a lot of interest in this area. Since you didn’t use the popular method, I’m not sure if you’re aware of it ( apologies, if you are ) but it’s called “collaborative” filtering and imathematically involves the notion of matrix factorization. A while back ( couple of years ago actually ), tried to write specialized R code for the algorithm in order to handle a popular big data set ( because optimization techniques in R start bogging down when dealing with big data sets ) but I was never quite successful. Trevor hastie has recently written an R package for dealing with the problem but I forget the name of it. Anyway, there is tons of info on the net about collaborative filtering/matrix factorization in case you want to check it out. Still, thanks for your post. It was definitely interesting and creative. thanks for your comment Mark. 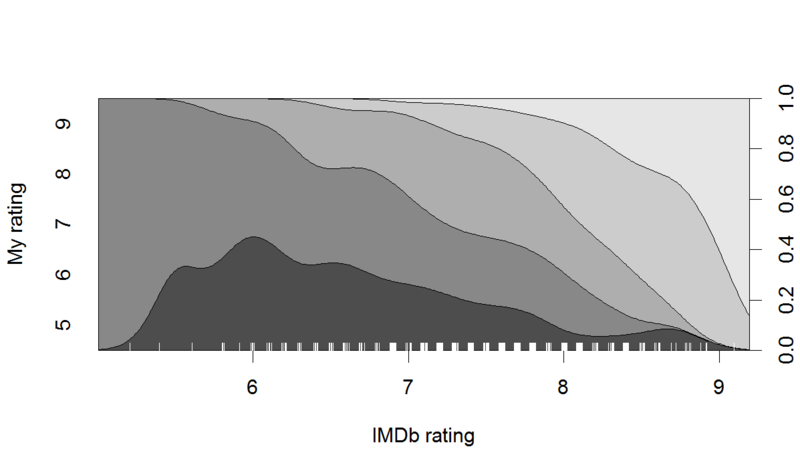 I am aware of the Netflix challenge (and actually link to it in the first paragraph), but there is one aspect I don’t quite understand: The winning team had to improve on the prediction (RMSE) given by a baseline model by 10% to scoop the cash (which they did in 2009). Does this mean that a common approach like a linear regression or a simple GAM gets you 99% of the way for 1% of the effort, and then the other 99% of the effort go into improving marginally on the ‘baseline’? A 10% improvement on the prediction error (RMSE) could still be important if the context involves really high stakes or billions of small-stakes decisions, but it certainly seems trivial from a more casual perspective. details of it. I got into the NetFlix problem while taking Andrew Ng’s class where he covered it briefly. 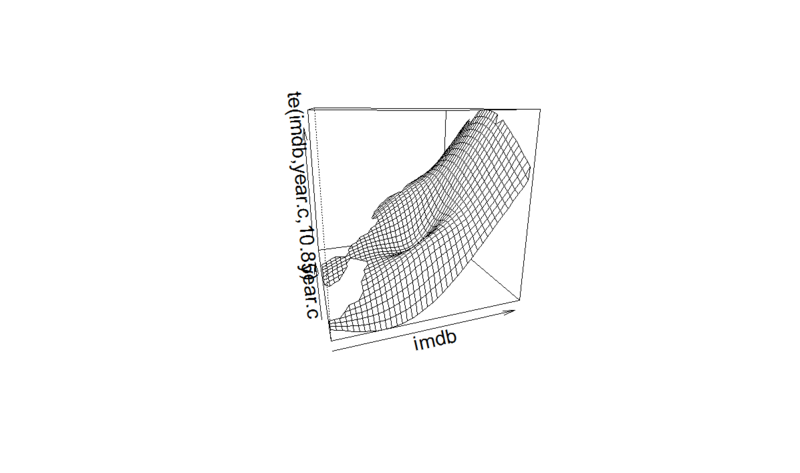 So, for fun, I was trying to use R to solve one of the problems on a medium sized Movie Lens data set which led to me getting more into the problem and it went like that. 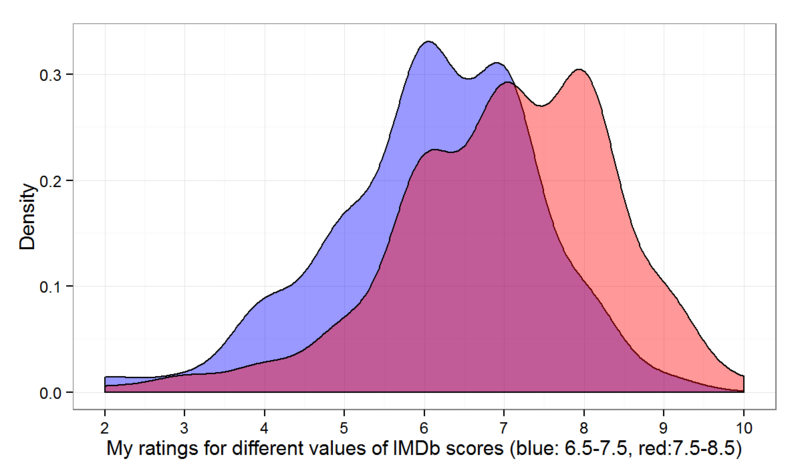 “Using only the training data, Cinematch scores an RMSE of 0.9514 on the quiz data, roughly a 10% improvement over the trivial algorithm. Cinematch has a similar performance on the test set, 0.9525. In order to win the grand prize of $1,000,000, a participating team had to improve this by another 10%, to achieve 0.8572 on the test set. Such an improvement on the quiz set corresponds to an RMSE of 0.8563”. or 100’s of thousands. So, to reduce the RMSE by 10% , means a lot. 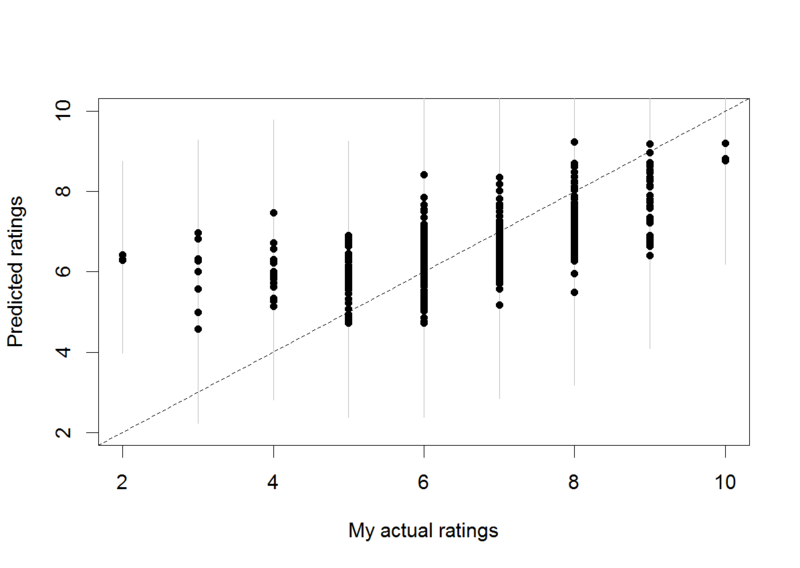 It sort of means that instead of the average error ( I think the ratings scale was 1 to 5 ) being 0.95 it has to be come 0.85. but that’s the average error over ALL THE PREDICTIONS. the one that showed the most promise was Rcgmin ) . 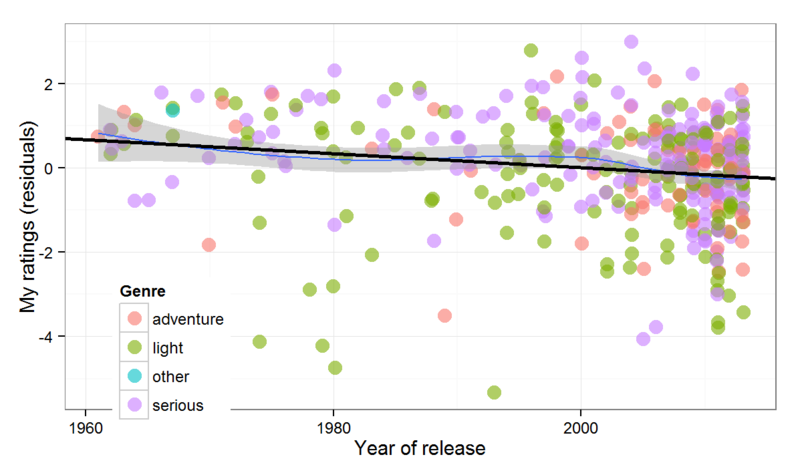 I think KDDCUP is the data set that researchers use now instead of netflix. types of problems. I hope this info clarifies or helps. 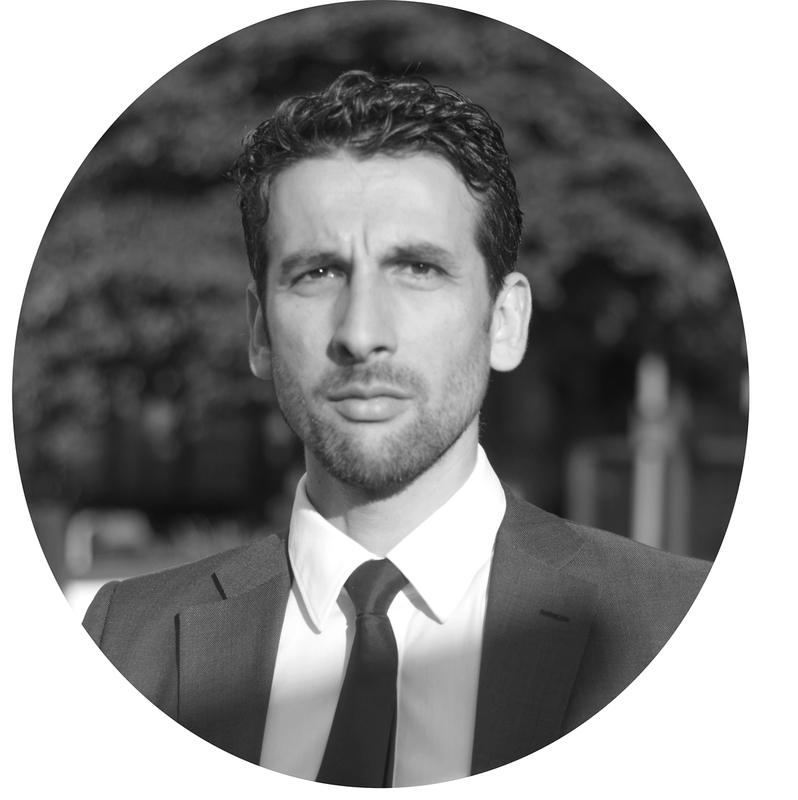 Good work — refreshing and informative to see a case study like this. I’d like to see more of them, here or elsewhere. Any pointers? 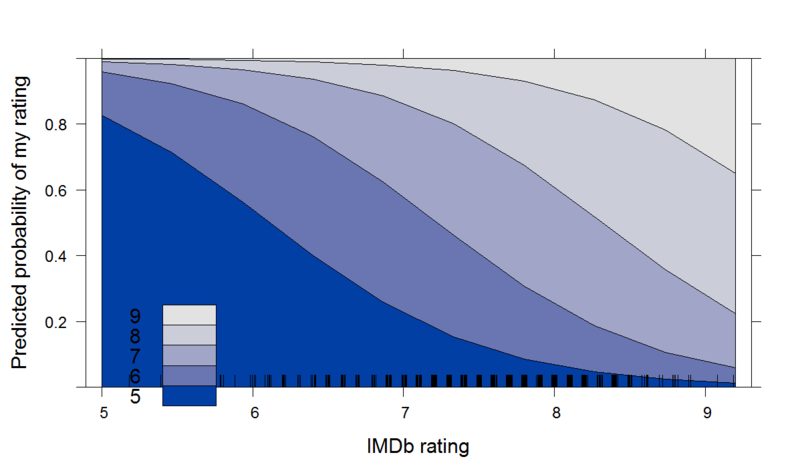 Instead of predicting the rating of a movie, can we recommend a movie based on ratings and watchlist. 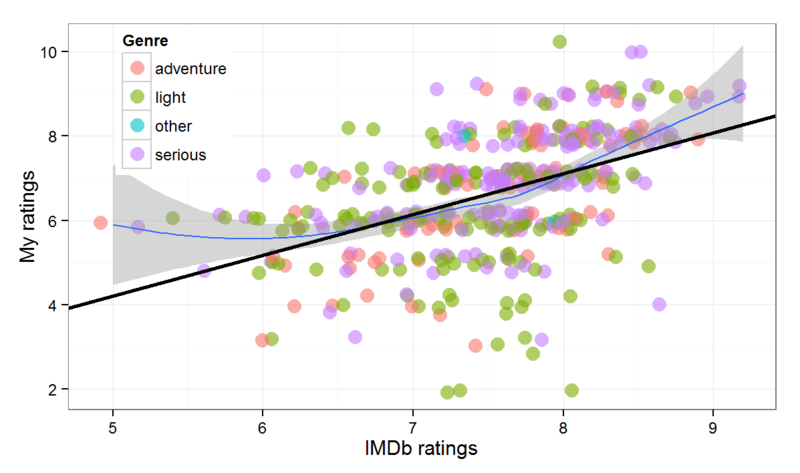 Results will be probably better if we can use plot keywords or even full synopsis to make a model of watched movies and see if the recommended movies match the user watchlist. If it does we can recommend really good movies. personally imagine it from so many numerous angles.